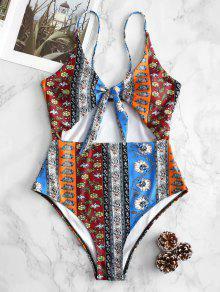 Detailed with retro-appropriate prints, the one-piece is adorned with a knotted front that tops a cutout underneath. this swimsuit is soooo cute! I love it and it fits rlly well! 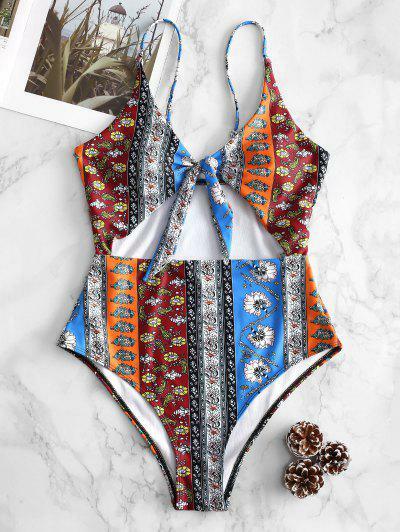 i’m 5’7” and I weigh 125 and I ordered a small.